When your MP4 files are so perfect that you are eager to save them forever, the best way is to burn MP4 files to DVD! Converting MP4 to DVD is very easy, but there are a lot of options and editing choices you can make, turning your video into a professional, high-quality movie. No matter if you filmed your video on a cell phone, hand-held video camera or have still images you want to assemble into a DVD – these MP4 to DVD converters can help you put together the right features and output options to make it happen! 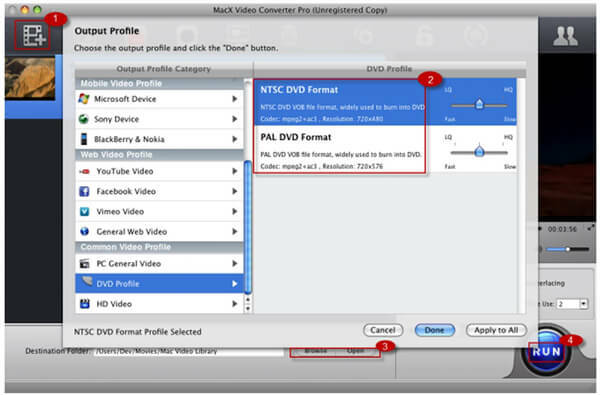 Directly convert MP4 to VOB (DVD-Video ), AVI, MKV, MOV and other 1000 formats. Burn any video like MP4 to DVD disk, ISO or DVD folder in batch. Customize DVD with free DVD templates and DVD parameters like Aspect ratio, TV standard, quality, etc. 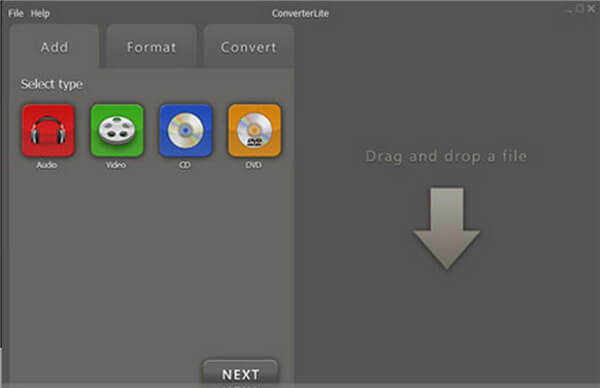 Add/Transfer DVD videos to Apple or Android Devices directly. Step 1: Import MP4 files to this MP4 to DVD converter. Step 2: (Optional) Adjust DVD Settings per your needs. Step 3: Convert MP4 to DVD Windows 10. Step 1 Import MP4 files to this MP4 to DVD converter. After downloading and installing this DVD maker, you can launch it. 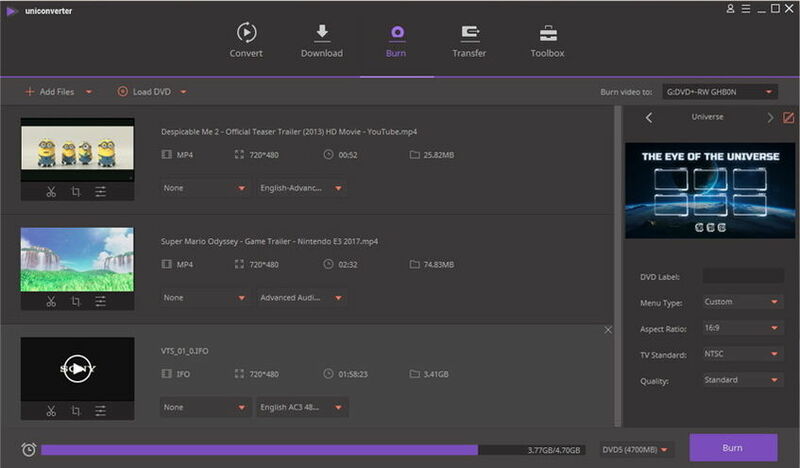 please click the Burn tab on the top of the main interface, click Add Files to add MP4 files from the pop-up window or directly drag and drop your MP4 videos into it. Note: You are allowed to burn multiple MP4 files to DVD once, so you can just import as many files as you want. Step 2 (Optional) Adjust DVD Settings per your needs. Change DVD templates from the setting area on the right of the program, then set the DVD lable, menu type, aspect ratio, TV standard and quality based on your needs. Alternatively, you can use the default parameters. 1. If you'd like to customize your MP4 video before burning, just click the Editing buttons under the imported video thumbnails. 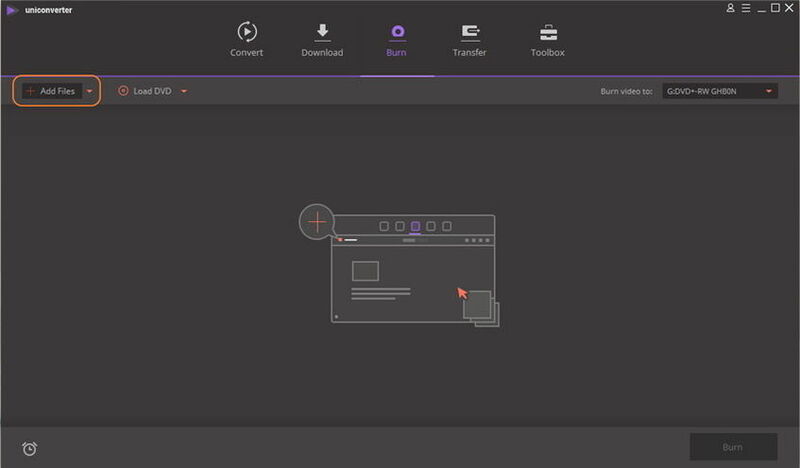 Then just play your talent using the advanced video editing features including trimming, cropping, adding watermark and subtitle, learn more how to edit MP4 videos >. 2. 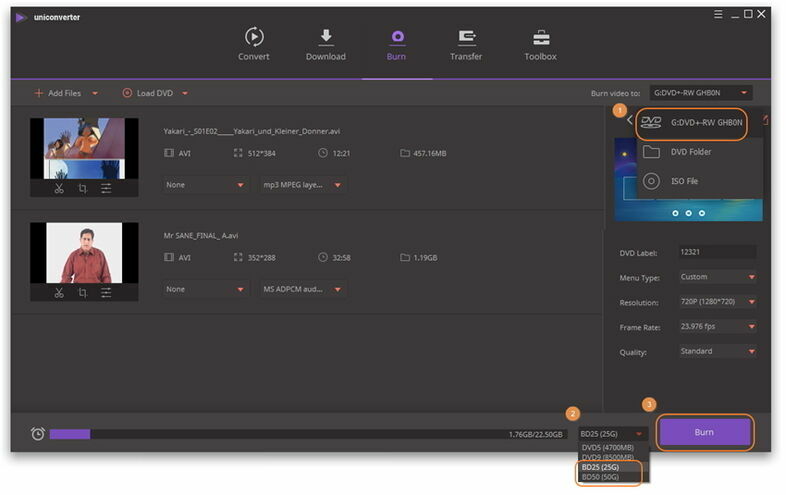 You can also set customized settings of your DVD, including the aspect ratio (16:9, 4:3), the DVD quality (Standard, High quality or Fit to disc) and the DVD format (DVD folder, ISO files or DVD disk). Step 3 Convert MP4 to DVD Windows 10. After above settings, choose the destination folder to save the burned video and then tap the Burn button at the right bottom corner, the program will start buring soon, and you're find the burned files in a while. If you're interested in free convert DVD to MP4, just move to How to Convert DVD to MP4 >> to learn more. Ad supported freeware with watermark. Detailed help and support online including videos. Include video from online sources like Youtube and Facebook in your DVD. 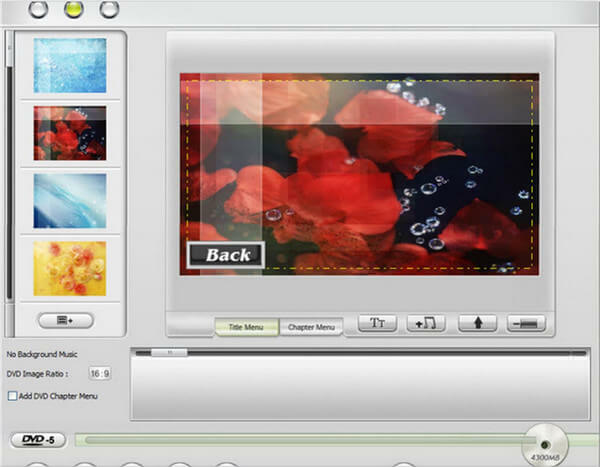 Use still photos to create a slideshow and burn it to DVD. Many uncommon codecs are supported. Opensource development means features can be scripted in. Advanced users will enjoy using AviSynth to add functionality. Very small program, runs quickly. Add titles and control burn rate. Create DVD format files and save to disk. Customizable menu templates build in. Excellent editing and enhancement features. Prompts for junkware during installation. Many conversion options including Apple format output. Options for professional level conversion, with a simple interface. Very easy three step conversion process with easy to use interface. 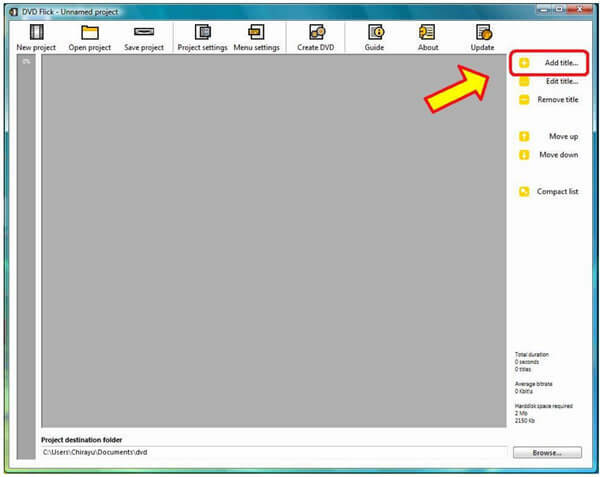 Create titles, chapters and menus. Burn multiple videos to one DVD. Great for first-timers, easy-to-use interface. Control source files, format and output. Create DVD chapter titles and menus. Great for first-timers, easy to use interface. Super-fast conversion and burning from MP4 to DVD. Support for true HD and Ultra HD. 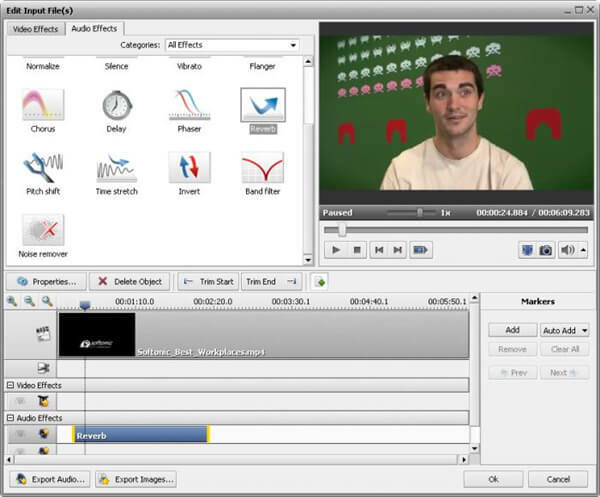 Editing and enhancement features built in. Output to Apple, Samsung and Sony formats and others. Upload directly to social media. 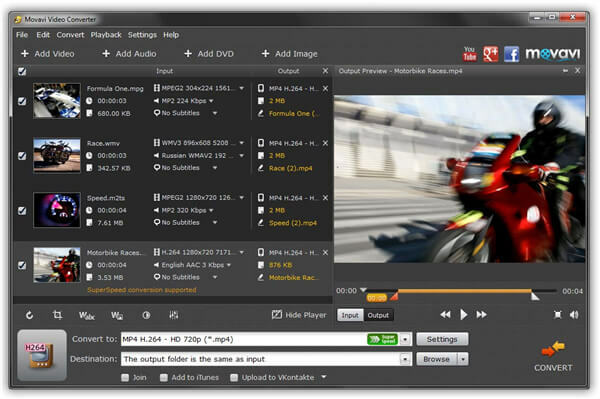 Audio and video effects options and storyboard interface. Free DVD menu templates and music. Supports NTSC VOB and PAL VOB. Watermark, title and crop video. Source video from online (YouTube), local upload and record screen.